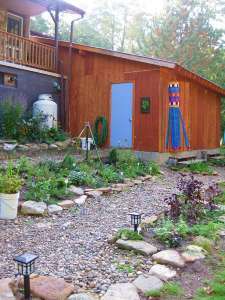 Outdoor Commercial Kitchen: Abram's Creek Retreat and Campground, Mt. 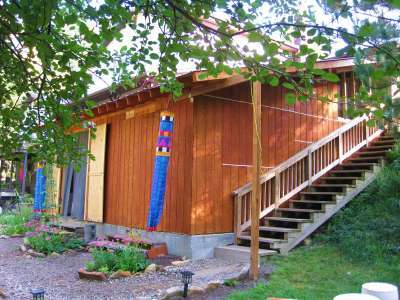 Storm WV. 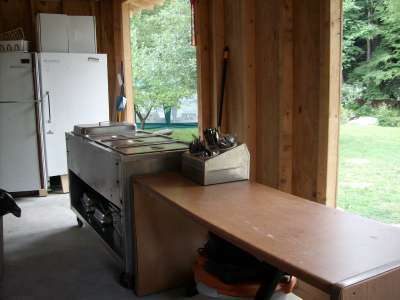 propane based outdoor commercial kitchen. for an enter / exit door buffet line. 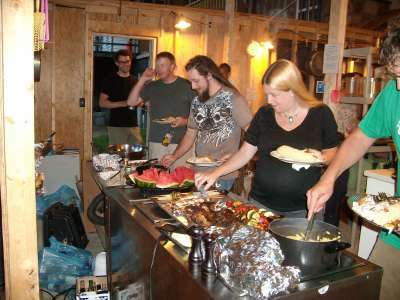 and some hungry retreat guests. 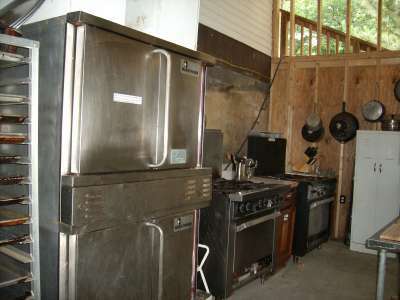 The outdoor commercial kitchen is approximately 500 square feet in area. 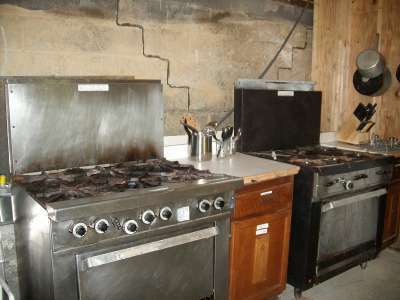 The kitchen is equipped with high pressure propane based cooking facilities that do require some experience and knowledge in cooking with such equipment. 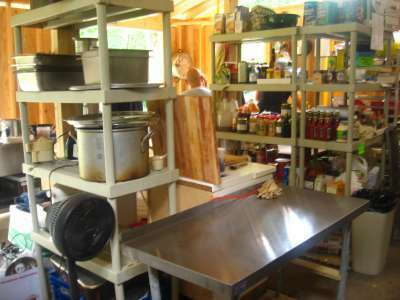 The facilities include all necessary cooking pots / pans / implements / dishes / silverware / cutting boards / and everything needed to prepare and serve food, bar nothing. 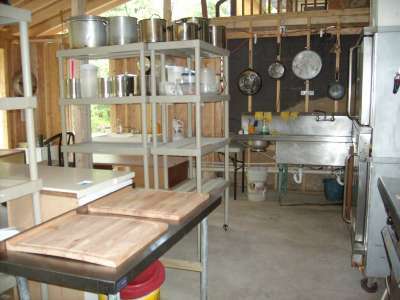 This use of this facility is included for free with whole lodge house rentals and can otherwise be rented for $75 per day ($50 to add to whole house rent) to the general public which includes use of the backyard picnic pavilion area, propane and hot water usage, and instruction on how to utilize the commercial equipment. Clean up afterwards is required of the leasee. 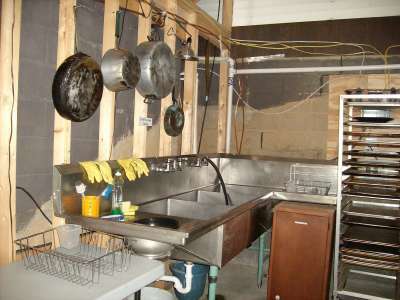 and 2 commercial range / stovetops. A great overview of the facilities. 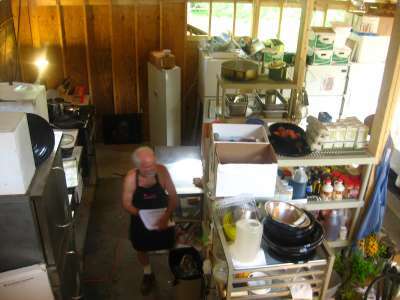 A hired chef hard at work. 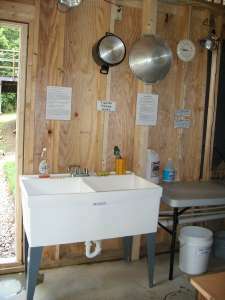 A commercial 3-tier dish washing station. 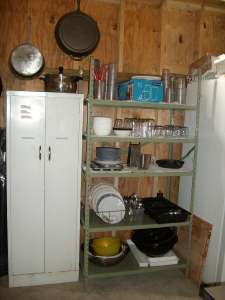 Cutting boards and dry food storage shelving. Tons of food prep. 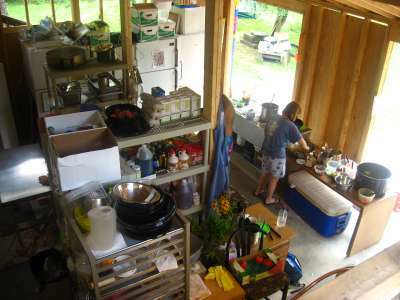 spaces and shelving. 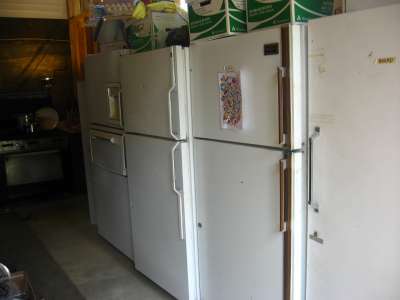 4 Refrigerator / Freezers and 3 more in the Lodge. 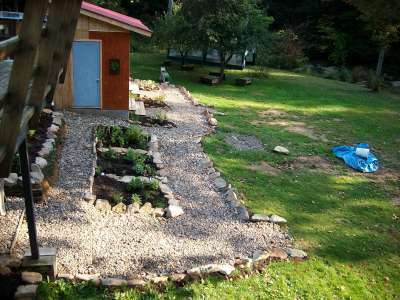 and an fresh herb garden for the pickings. 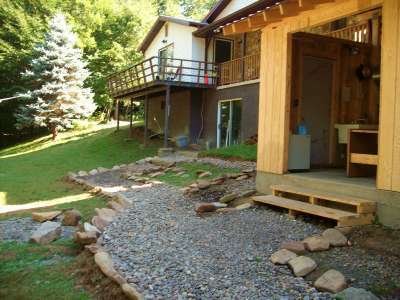 River view covered picnic pavilions -- seats 54+. 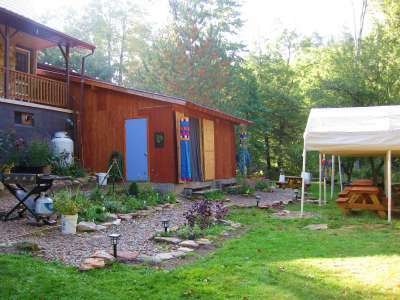 A departing shot of our gardens and walk-way. 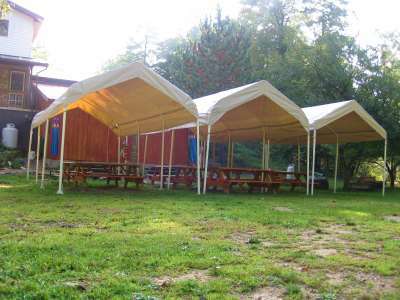 are ideal for festival or concert use, corporate or church picnics, large and small scale gatherings.